With the country slowly coming out of recession in the early nineties, we began manufacturing pine furniture from a small industrial unit near Clacton-on-Sea, supplying many shops throughout the UK. 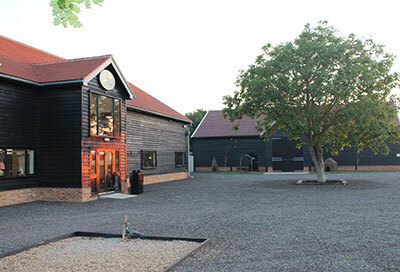 Within a couple of years we moved to bigger manufacturing premises, and the opening of several shops in Essex and Suffolk followed soon after. Our success continued through until the late nineties, when a downturn in the economy began hitting the business hard and downsizing was the only option available to us. Our move to Alresford near Colchester in 1998 saw the opening of Alresford Fine Furnishings, along with a small manufacturing area. With our focus on customer service and quality, we began to grow again, expanding into shops and units next to us as they became vacant, and eventually purchasing the entire site in 2004. Over the following years, tastes in furniture changed, moving more towards oak and painted ranges, with pine slowly going out of fashion. In response to this, we began designing and importing our own ranges, and also building a new warehouse on site, with the first containers arriving in late 2007. The ranges were an instant success with our customers, and other retailers were now asking us to supply them. With past experiences in mind we decided not to expand, but instead supply only a few quality retailers around the UK. This has proved a success for both them and us. Finally, in 2009 we decided to move to a purpose built shop, and a suitable site was purchased later that year. Building began just before Christmas 2011 on one of the largest oak frame barns in the UK. Attention to detail has been our priority, and the build has progressed steadily, reaching completion in July 2015.